- Who are the Largest Podcasting Companies? We’re adding a new feature that will have you listening to your favorite and most listened to podcasts in no time at all. Introducing the new Spreaker Podcast Radio home screen widget. Your tried and true podcasts will be clearly laid out for you and each will be readily accessible with just a tap, right from your home screen. It’ll save you swipes and time, especially when you’re multitasking between your workout, emails, and instant messages. - The widget will display an array of podcasts, even when your phone is locked, divided into two sections. - In the top half, you’ll find the podcasts you listen to most. - Tap on any one of them and you’ll be prompted to unlock your phone. As soon as you do, the Spreaker Podcast Radio app will open up automatically to that very podcast. Just below, you’ll see your most recently downloaded episodes. By tapping on any one of those, you’ll go through a similar process as the one mentioned above: You’ll be prompted to unlock your phone, but this time, you’ll be brought automatically to a list of whatever you last downloaded. Easy peasy, isn’t it? And your podcast or episode will start playing immediately, too. Swipe the home screen or lock screen to the right. Scroll down to the bottom. Then tap on Edit. Tap on the “+” symbol to add Spreaker Podcast Radio to your home screen. Tap on Done to finish. Touch and hold any empty space on the home screen. Tap on the Widgets icon. Touch and hold the Spreaker Podcast Radio widget. A preview of your home screen will appear. Drop the widget on whichever spot you prefer. A few other side features will be introduced together with the widget that will get you to your favorite content even faster. The name says it all: quick actions are shortcuts that get you to different kinds of content in a snap. Now, by just touching and holding (on Android) or 3D touching (on iOS) Spreaker Podcast Radio’s app icon, you’ll be able to begin a new search, open the Listen Later playlist, or open the Downloads playlist. But a quick note: While quick actions are available to all iOS users, currently they’re only available to Android users with Android 7.1 and above (Nougat). Who are the Largest Podcasting Companies? Some are saying NPR is the Largest Podcasting Firm? What is the basis used to determine largest podcasting firm? I prefer to use the term "show" over "podcast". I have some of my shows up-loaded to Wenoo and embedded to my web sites. More and more sites are going to on site live chat for technical support. Finally caught a live show. Perhaps the defination of podcast could be modified. Maybe another term. Or the creator is clear in what they are doing. For example, this is the XYZ show on YouTube or FB Live and being record for playback on the XYZ podcast. Thanks for the show! Spreaker does not support paywalls at this point. All content is Free. Yes, you can put our player behind your own paywall and you can turn off downloads, but your episodes would still be live on Spreaker.com only. Hello, I have been listening to The Spreaker Live show since the first episode. I have also listened to the Exum Experience since 2015. I have a question. I moving my podcast to spreaker in January. Is there a way I can put my spreaker podcasts behind a pay wall? 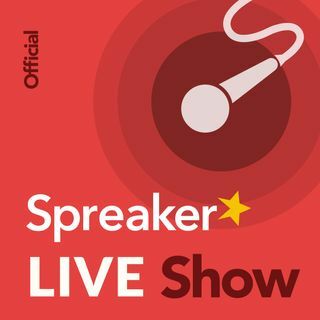 If not directly through spreaker, what if I set my back catalog to private on spreaker. Then embed the player behind a paywall on my site. Would that work? Anyway thanks I love the show. Surrounded by noise all of the time these days . . . if it ever gets quiet, I will send you an audio comment. Linda, Nielsen is trying but it is tough to do. There is Neilson for radio. Why not for pod-casts? I have gotten several snail mail flyers from NPR begging for donations because they say their funding is getting cut off. I just did a new show December 1st, just not with my comedy partner. Also, I use a desk top P.C. I do not get notifications. I have to go to my following list and manually look through to see who has a new show. Happy to get to be here in real time today! Hi Linda.. Thanks for listening today. Thank you for listening to the Live show today!